RFG Fellowships fund master’s degrees in international affairs, policy, public administration and related fields at select partner universities that are among the top ranked across the nation. All of the foundation's partner schools are members of APSIA (Association of Professional Schools of International Affairs). Individuals interested in an RFG Fellowship may apply to one or more of our partner schools. Each school has its own admission requirements and processes for general acceptance, and for application and selection for the RFG Fellowships. Please inquire of the contacts listed below for more information. 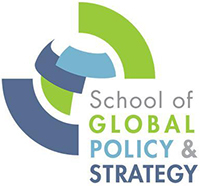 The primary aim of The Fletcher School is the same as it was when conceived by its founders: to offer a broad program of professional education in international relations to a select group of graduate students committed to maintaining the stability and prosperity of a complex, challenging and increasingly global society.